How Facebook Embedded Posts Look Like? 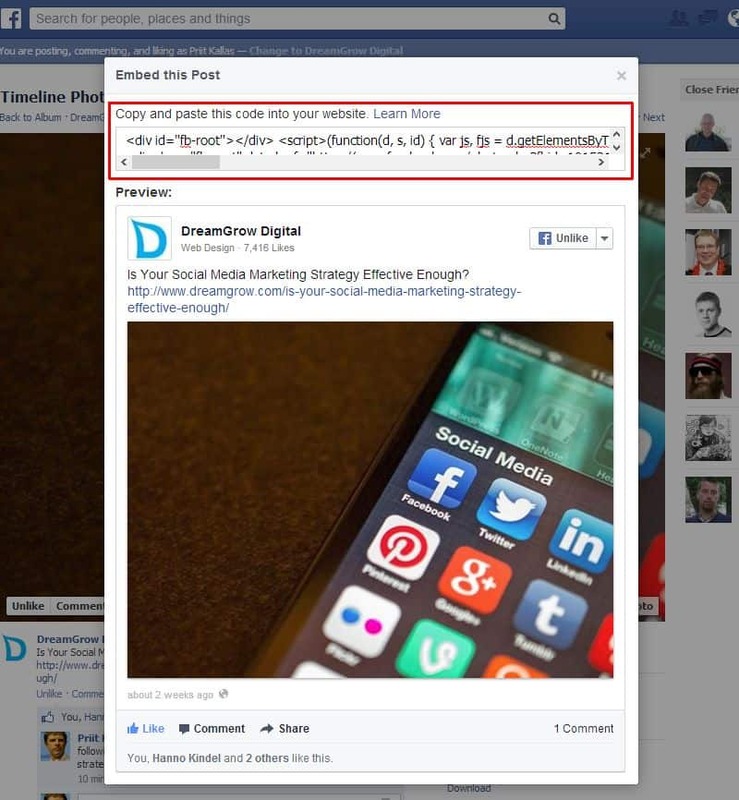 Facebook launched embedded posts. Now you can add posts from your Facebook page to any blog or website. And it will look like this. If the user clicks “like” it will add it right there on the site but clicking “comment” and “X comments” will take you to Facebook. “Share” will open up a regular sharing window. It might be a good idea to have the comment feed also on the embedded content. This way it wouldn’t matter where people choose to engage in conversation, your site or Facebook. Of course, Facebook wants you to visit their site. Embedding itself is pretty straightforward. Go to the content you want to embed and click “Embed Post”. Then you get a popup that will show you the preview of the embedded post and you can copy the code the you have to paste to your website or blog. It is really easy but means that you might need some elementary HTML skills. You can read more about embedded posts on the Facebook official support page. There’s also a tool to create the code for embedded posts. You can embed any post that is publicly visible. Below you can see I embedded the post from Mashable. You can also get recursive by embedding a Facebook post about the post itself in the post like this. 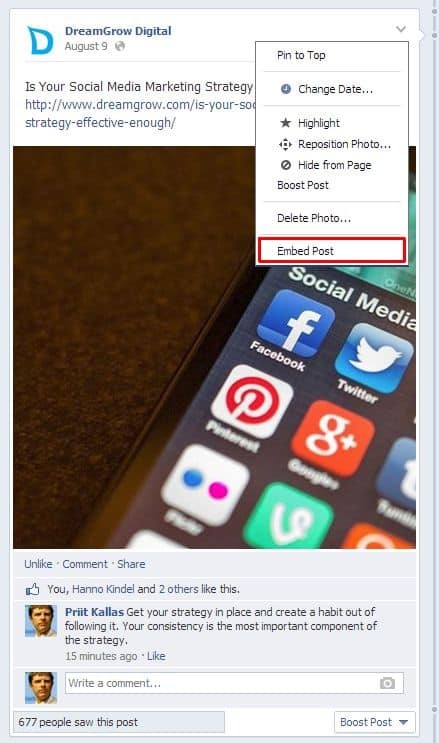 Publish your blog post, share it publicly on Facebook, embed the Facebook post in the blog post.